Before getting on to the Android interview questions, the student must know that the Android is a continuously varying field which needs the students as well as professionals to upgrade their skills with the new features and knowledge, to get fit for the jobs associated with Android. This post related to Android Interview Questions and Answers, Android Interview Questions and Answers Freshers, Android Interview Questions and Answers, Android Interview Questions will help you let out find all the solutions that are frequently asked in you upcoming Android interview. Over thousands of vacancies available for the Android developers, experts must be acquaintance with all the component of Android technologies. This is necessary for the students in order to have in-depth knowledge of the subject so that they can have best employment opportunities in the future. Knowing every little detail about Android is the best approach to solve the problems linked with problem. 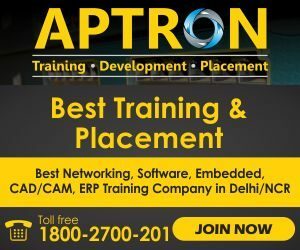 APTRON has spent hours and hours in researching about the Android Interview Questions and Answers, Android Interview Questions and Answers Freshers, Android Interview Questions and Answers, Android Interview Questions that you might encounter in your upcoming interview. All these questions will alone help you to crack the interview and make you the best among all your competitors. First of all, let us tell you about how the Android technology is evolving in today’s world and how demanding it is in the upcoming years. In fact, according to one study, most of the companies and businesses have moved to the Android. Now, you cannot predict how huge the future is going to be for the people experienced in the related technologies. Hence, if you are looking for boosting up your profile and securing your future, Android will help you in reaching the zenith of your career. Apart from this, you would also have a lot of opportunities as a fresher. These questions alone are omnipotent. Read and re-read the questions and their solutions to get accustomed to what you will be asked in the interview. These Android interview questions and answers will also help you on your way to mastering the skills and will take you to the giant world where worldwide and local businesses, huge or medium, are picking up the best and quality Android professionals. This ultimate list of best Android interview questions will ride you through the quick knowledge of the subject and topics like Android Application, User Interface, Main Building Blocks, Android Resources. This Android interview questions and answers can be your next gateway to your next job as a Android expert. Q2: Where will you declare your activity so the system can access it? Q3: What is the difference between an implicit intent and explicit intent? A3: There are two types of Intent implicit and explicit intent, let see some more difference between them. Q5: What is action in Android? A5: In Android, the action is a description of something that an intent sender desires. Q6: How do you find any view element into your program? A6: Findviewbyid : Finds a view that was identified by the id attribute from the XML processed inActivity.OnCreate(Bundle). Q7: How can two Android applications share same Linux user ID and share same VM? A7: The applications must sign with the same certificate in order to share same Linux user ID and share same VM. Q8: How can ANR be prevented? A8: One technique that prevents the Android system from concluding a code that has been responsive for a long period of time is to create a child thread. Within the child thread, most of the actual tasks of the codes can be placed, so that the main thread runs with minimal periods of unresponsive time. Q9: Who is the founder of Android? Q10: Explain the Android application Architecture. Q11: What are the code names of android? Q12: What are the core building blocks of android? Q13: What are the life cycle methods of android activity? Q14: What is service in android? A14: A service is a component that runs in the background. It is used to play music, handle network transaction etc. Q15: What is the Google Android SDK? A15: The Google Android SDK is a toolset which is used by developers to write apps on Android enabled devices. It contains a graphical interface that emulates an Android driven handheld environment and allow them to test and debug their codes. Q16: What is nine-patch images tool in Android? A16: We can change bitmap images in nine sections as four corners, four edges and an axis. A17: AAPT is short for Android Asset Packaging Tool. This tool provides developers with the ability to deal with zip-compatible archives, which includes creating, extracting as well as viewing its contents. Q18: What is the use of an activityCreator? A18: An activityCreator is the first step towards the creation of a new Android project. It is made up of a shell script that will be used to create new file system structure necessary for writing codes within the Android IDE. A19: Intents displays notification messages to the user from within the Android enabled device. It can be used to alert the user of a particular state that occurred. Users can be made to respond to intents. Q20: What is the importance of XML-based layouts? A20: The use of XML-based layouts provides a consistent and somewhat standard means of setting GUI definition format. In common practice, layout details are placed in XML files while other items are placed in source files. Q21: How are escape characters used as attribute? Q22: When is the onStop() method invoked? A22: A call to onStop method happens when an activity is no longer visible to the user, either because another activity has taken over or if in front of that activity. Q23: What is the AndroidManifest.xml? A23: This file is essential in every application. It is declared in the root directory and contains information about the application that the Android system must know before the codes can be executed. Q24: What is drawable folder in android? A24: A compiled visual resource that can used as a backgrounds,banners, icons,splash screen etc. Q25: What are the type of flags to run an application in android? Q26: What are application Widgets in android? A26: App Widgets are miniature application views that can embedded in other applications (such as the Home screen) and receive periodic updates. These views has referred to as Widgets in the user interface, and you can publish one with an App Widget provider. Q27: Which kernal is used in android? A27: Android is customized Linux 3.6 kernel. Q28: What is singleton class in android? A28: A class which can create only an object, that object can be share able to all other classes. Q29: What type of listener is used to get the ratings from the RatingBar Widgets? A29: onRatingBarChangeListener() is used. Click to get more details about RatingBar and SeekBar. Q30: If I have all the drawable folders like xhdpi, hdpi, mdpi and ldpi and I am running my application on xhdpi devices,the images will be picked up from which folder. (I have not placed any image in xhdpi). We know the list of Android Interview Questions and Answers, Android Interview Questions and Answers Freshers, Android Interview Questions and Answers, Android Interview Questions is overwhelming but the advantages of reading all the questions will maximize your potential and help you crack the interview. The surprising fact is that this Android interview questions and answers post covers all the basic of the Android technology and you have to check out the FAQs of different components of Android too. However, you will be asked with the questions in the interview related to the above mentioned questions. Preparing and understanding all the concept of Android technology will help you strengthen the other little information around the topic. After preparing these interview questions, we recommend you to go for a mock interview before facing the real one. You can take the help of your friend or a Android expert to find the loop holes in your skills and knowledge. Moreover, this will also allow you in practicing and improving the communication skill which plays a vital role in getting placed and grabbing high salaries. Therefore, it’s never too late to edge all the basics of any technology. If you think that you’ve not acquired the enough skills, you can join our upcoming batch of Android Training in Noida. We are one of the best institute for Android in noida which provide advance learning in the field of Android Course. We’ve highly qualified professionals working with us and promise top quality education to the students. We hope that you enjoyed reading Android Interview Questions and Answers, Android Interview Questions and Answers Freshers, Android Interview Questions and Answers, Android Interview Questions and all the FAQs associated with the interview. Do not forget to revise all the Android interview questions and answers before going for the Android interview. In addition to this, if you’ve any doubt or query associated with Android, you can contact us anytime. We will be happy to help you out at our earliest convenience. At last, we wish you all the best for your upcoming interview on Android Technology.